Changing Lives! Justin Timbaland, Justin Timberlake,and Jojo in one explosive concert! Many artists are graced to perform here in the Philippines this year. However, there would be nothing better than having three very famous and established artists to perform for one night. I am a big fan of these three artist. Justin Timberlake being one of the best performers for this generation. Jojo which is known for her charm and voice that wowed the world. And most especiallyTimbaland, who make chart-topping songs by collaborating with the best artists in the industry. This is benefit concert so it means that it would help a lot of people still affected by the calamities that happened here. So it would make a lot of difference in helping others while also enjoying the smooth and great sounds by the collaboration of the three. Want to win free tickets? Go the Azrael's Blog to find out why! Here is Timbaland's newest single with Kathy Perry that is topping the charts today, one of my favorites! I believe its what you have on you iPods or MP3 players! OH! So Many Thrills with Chowking Orange Chicken! Things can happen unexpectedly and so fast that this is the only word that we could say. And this was my cry when I attended the event for Chowking's 25th anniversary at one of its branch in Bonifacio Global City. Its also the official launch of their newest product which is the Chowking Orange Chicken. This Oh-some and Oh-range-gy dish is endorsed by top actor Jericho Rosales. With the launch of the dish, which has a very appealing color and taste of the sweetness of oranges and the juiciness of chicken that would make you dance. Speaking of dance, the event was also filled with the party spirit since there is a dance craze that made all of the people dance, they called it the Chicken Dance. To the tune of Keysha's tictoc, a simple yet viral dance was introduced to the audience. And it was not hard for all to learn the dance since everyone is having a good time doing it. Its almost a year since by webcomic blog Krisis Komix started on Earth Hour last year. I can still remember how it was born from boredom and a lot of imagination in the office. 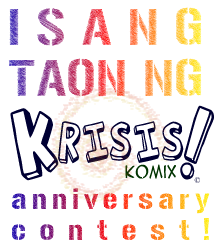 Now for its first anniversary, krisis komix will conduct a contest for krisis komix fans! We will be giving out (1) 2 movie passes for Araneta Malls (Gateway Cineplex 10, Ali Mall Cinemas) and (2) P500 worth of sodexho gift certificates! So there are two ways to win! 1. The contest is open to residents in Metro Manila. 2. You can join the contest on both the facebook page and the blog site. 3. One entry per person only for each contest. 4. Winners will be determined via random pick using a statistics software. 5. Contest Duration: March 15-26, 2010. 6.. The winners will be announced on Earth Hour Day March 27, 2010. Just after a pictorial for a play poster, we went to SM Manila just to freshen up and while waiting, we encoutered this kiosk that is selling just one product. But the product they are selling is what I never expected to be, ICE SCAMBLE! Yes, the Pinoy ice delicacy that are sold by cart peddlers which I grew up with. This pink concoction has been a favorite especially to kids however recently I have not tasted this for quite some time now. There was also a decline for the demand of this product when they were issued for the sanitation of its preparation. The Ice and the other ingredients were placed in containers that were open to contamination. 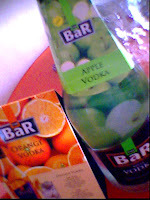 Thus many people would not like scramble anymore since it poses a threat to health. Ice breaker ensures that their product uses clean utensils and fresh supplies making the scramble experience much better. What is my S.H.O.E. ? Being optimistic everyday have its positive effect on us and what our future will be. So lets count blessings not problems for now. 1. Its the anniversary of my webcomic! www.krisiskomix.blogspot.com 2. I am part of a big cosplay group! Nosebleed Cosplayers' Guild 3. I will watch a stage play again after a year! Hooray for Live Act 8! 4. I am learning to apply my Japanese! I can slightly read Japanese labels and understand anime! 5. I am getting great feedbacks on my graphic designs 6. I am losing pounds and was able to fit to jacket I have not used in years! 7. 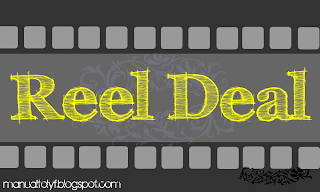 I hope to earn more in my blogs in the following months! I would like to thank and commend Earthlingorgeous for sharing this and hope you make one too! With the businesses in need of competitive employees and managers, ENGLISH has always been a requirement to be employed. Its also one of the keys in ensuring success in the corporate world. The BPO business here in the Philippines also requires a high standard of English being a staple communication language in this international venture. Now Jobstreet.com has a program and a test for you to improve on you English skills that will produce positive results for your employment, presentations, clients and any other transactions that will lead you to personal success in life! Starbucks Mezza is now open! Free wifi at SM Centerpoint! Lately there had been nice improvements here in the Sta Mesa area after it was badly affected by typhoon ondoy last year. Mezza by SM has been a great landmark there. 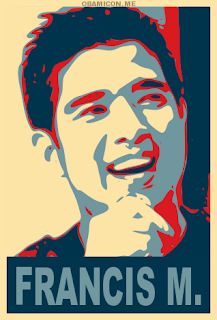 And since its also across my school (CCP), it has been very convenient for me. 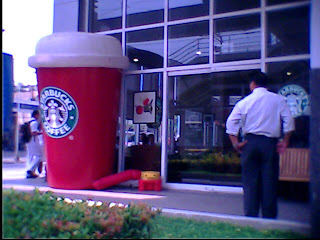 But what caught my attention is the new starbucks store on Mezza. Its kinda exciting since SM Sta Mesa does not have Starbucks and the other store is located kilometers away in Quezon Boulevard. It actually opened last week and saw that they have a lot of customers which I can say is a nice location. I am looking forward to enjoy a frappe here soon. Central Colleges of the Philippines won National Cheer leading Competition! I know that most of you have already know the story of Alice in her adventures in a place called wonderland. But for this version, Alice is now a 19 year old lady within the Victorian society but does not seem to fit there. She fell down again in a rabbit hole to enter the world of Underland the real name of wonderland).From there she encountered talking animals and other creatures that were surreal. 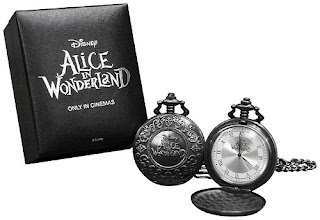 Get lost with Alice in Wonderland! The clock is ticking and the world is awaiting as the door to the world of wonderland will open up and reveal it secrets. Tim Burton's version of the very loved novel Alice in Wonderland. Its stars Johnny Depp, Anne Hathaway, Helena Bonham Carter, Crispin Glover, Matt Lucas, Marton Csokas, Tim Pigott-Smith, Lindsay Duncan, Geraldine James, Leo Bill, Jemma Powell, Mairi Ella Challen and Mia Wasikowska as Alice. And this version will be the first in 3D and iMax. since we have seen the animated movie version and also countless series and other movie adaptations, but for this movie is unique. Now let me just share a classic (?) video of Alice from 1903. Globe launched UNLIMAIL! e-mails on the go! 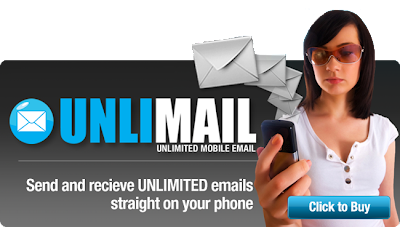 Globe has launched its new service called Unlimail that will revolutionize mobile e-mail. Its an unlimited mobile email service that enables you to send and receive emails directly on your mobile phone anytime, anywhere. You can have your emails delivered to you in real time, at anywhere and no need for a PC to respond to urgent emails. Send, download, and view attachments with ease! To register, text UNLIMAIL to 8888. You will receive an SMS notification message containing a WAP link. Click on the link to download the UNLIMAIL application for FREE!. Choose myGlobe Connect APN as your connection setting, and the application will automatically download onto your phone. Click on the UNLIMAIL application to start sending and receiving emails.